I had a couple people ask why I chose to do this free of charge. It's basically free anyway, I do have to pay for a place for our models to sleep, and give them money for food and gas. That would be the super thing to do. Anyway, it's free because I like being around & creating with other photographers. And this also allows this to just be fun, collective and no pressure. I've already got a Platform Class on Thursday to stress about and some speaking slots at the Miller's booth. I'm excited to say the least. 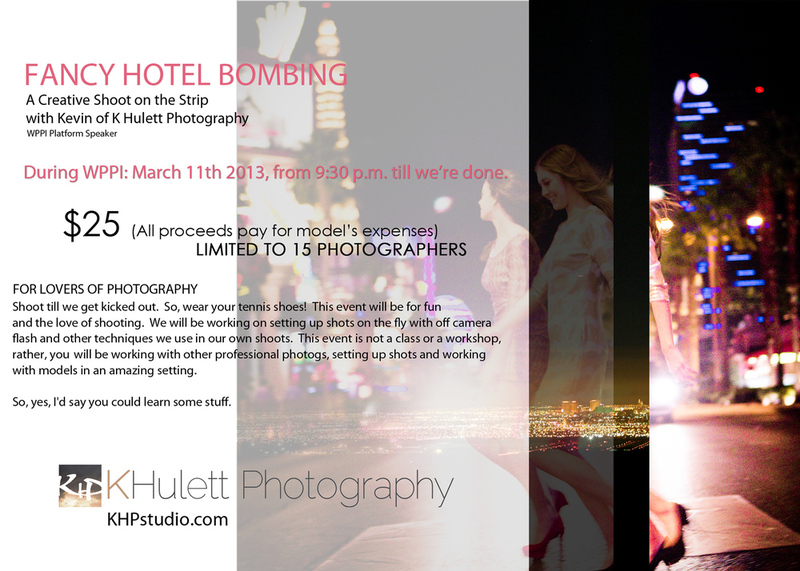 Running around fancy hotels ( I'm not giving away which one's yet) with 15 photogs & models. I can almost guarantee we'll be asked to...move along. What could be more fun than running around setting up photos in cool locations, with pressure on to do it reeeeallll fast?